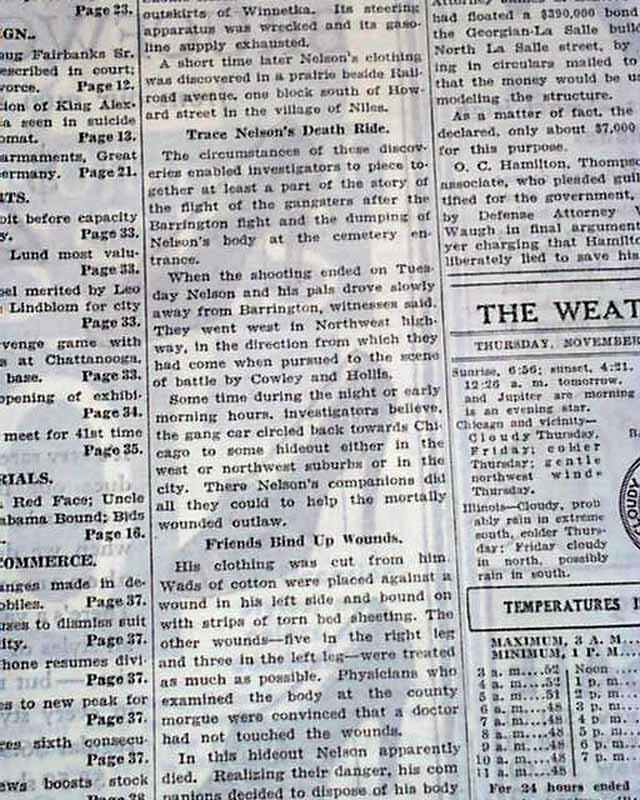 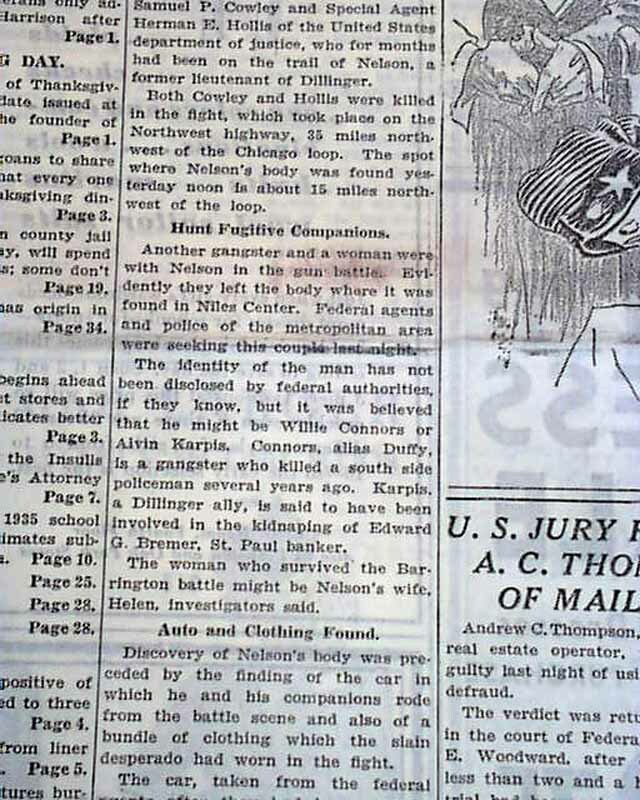 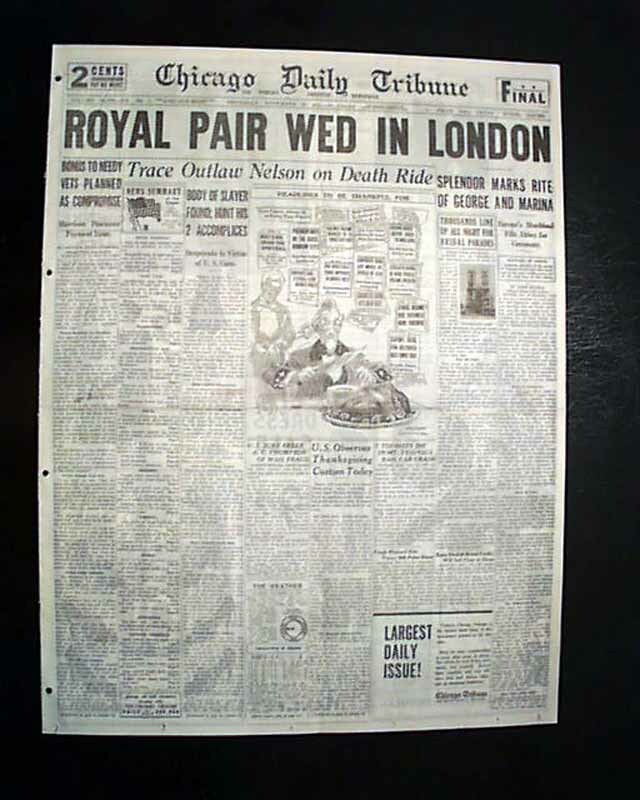 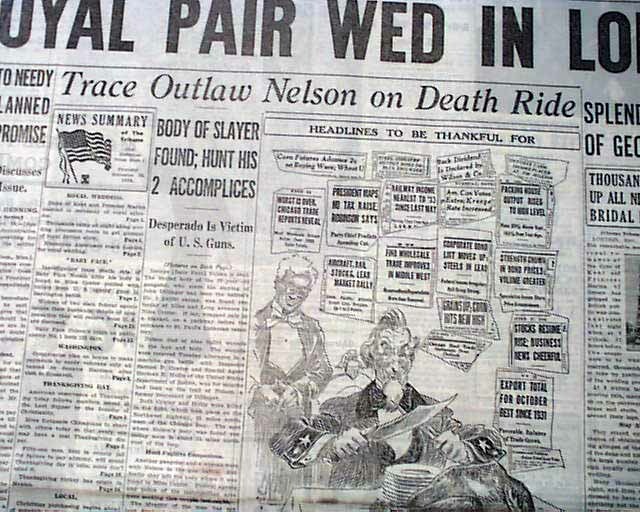 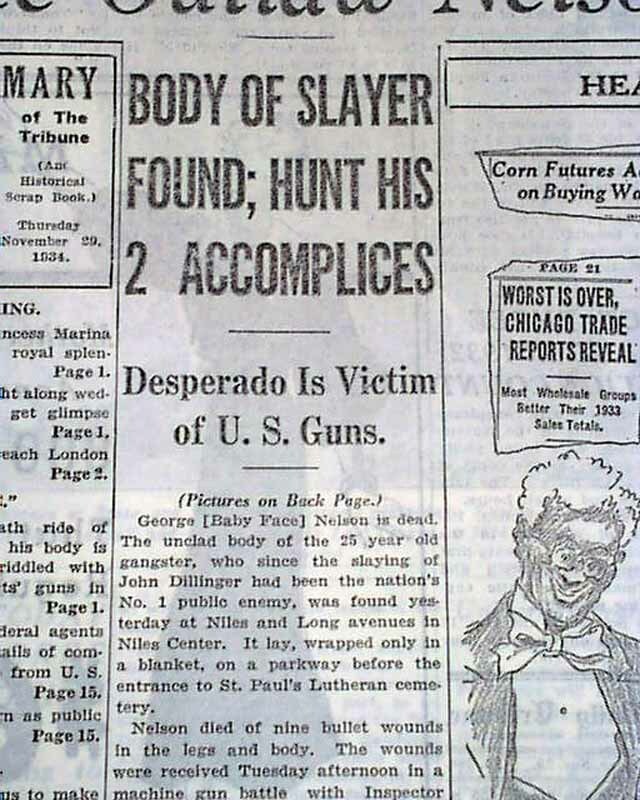 The front page has a five column heading: "'Trace Outlaw Nelson on Death Ride" with subheads that include: "BODY OF SLAYER FOUND; HUNT HIS 2 ACCOMPLICES" (see) More on pages 14 & 15 with related map. 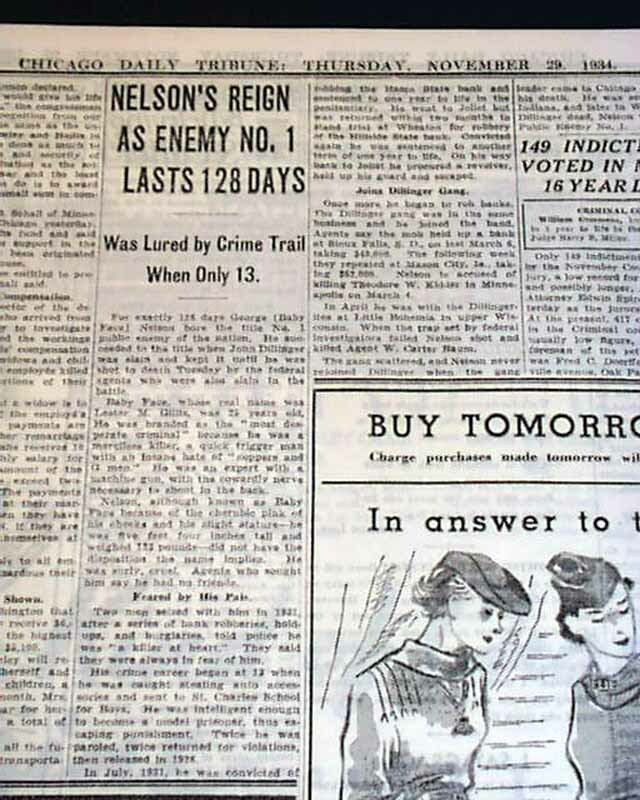 Small photo of Nelson on page 44. 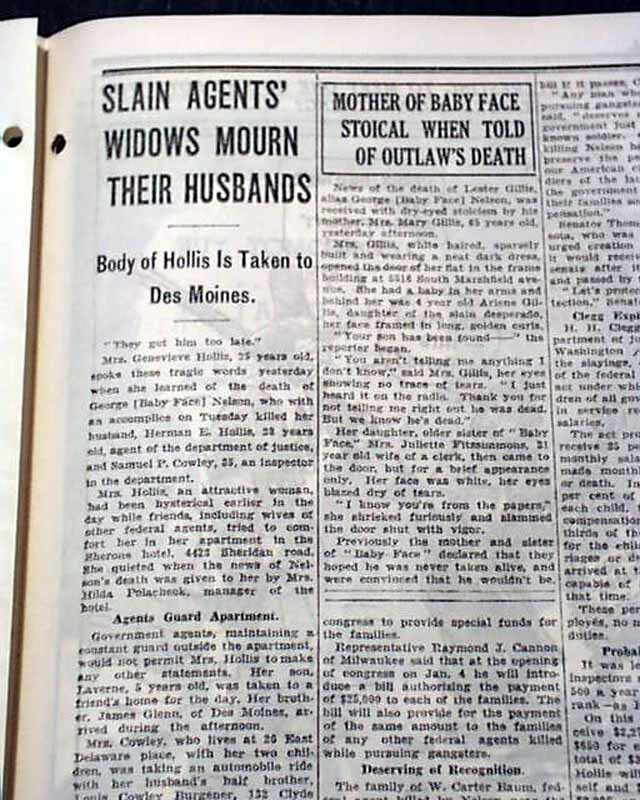 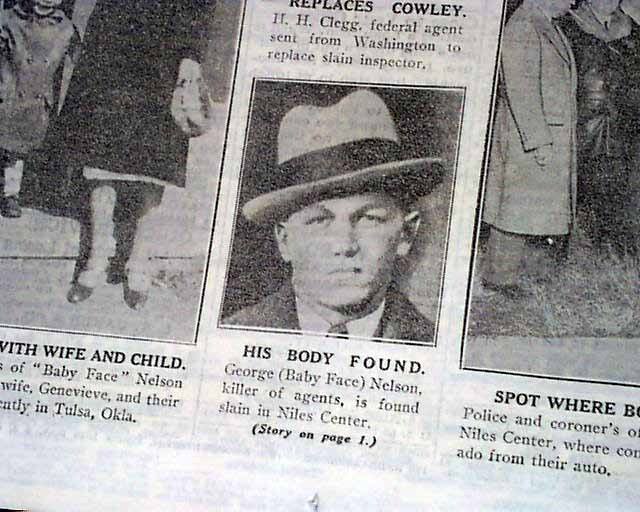 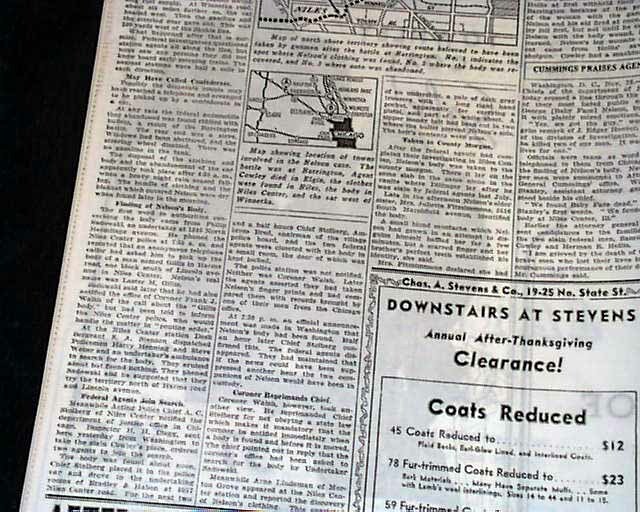 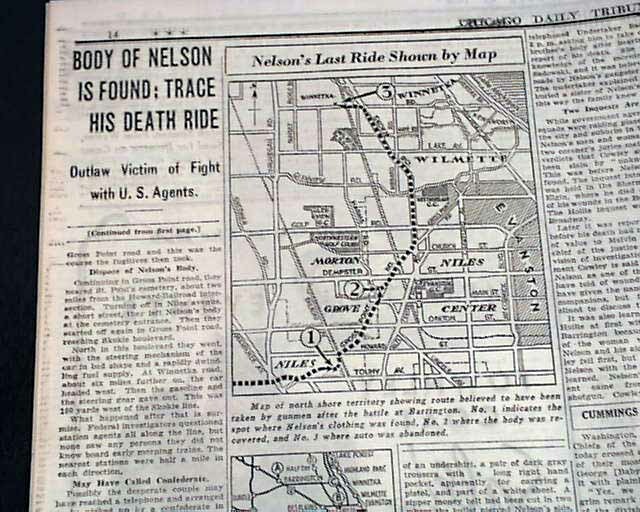 When it comes to gangsters, organized crime, and the nefarious activities born out of the Prohibition and Great Depression eras, no city is more in the forefront of our minds than Chicago - and what better newspaper can be found than the Chicago Tribune, self-proclaimed to be "The World's Greatest Newspaper".